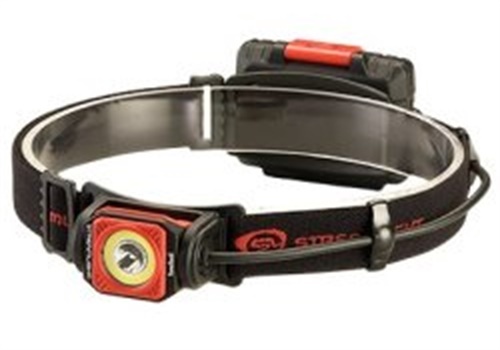 Streamlight Inc., a leading provider of high-performance lighting, has introduced the versatile Twin-Task Headlamp, featuring both spot and COB flood beams that allow for hands-free lighting for both distance and close-up lighting tasks. The high-lumen light also is powered by easily sourced alkaline or lithium AA batteries. The new headlamp features a traditional LED beam to provide spot lighting for distance illumination, and a new technology COB LED, which casts a smooth, diffused flood light to fill a work area with light while reducing glare. Featuring the latest in power LED technology, the Twin-Task Headlamp provides five lighting levels, making it ideal for virtually any lighting task. "This latest addition to the Streamlight line of Twin-Task work lights gives industrial, automotive and other professionals a versatile headlamp that can be powered by readily available AA batteries," said Streamlight Vice President, Sales and Marketing, Michael F. Dineen. "With its main beam for distance spotting and a COB Flood LED for working close up, technicians always have just the right mode for their lighting needs." The Twin-Task Headlamp's multi-function, push-button switch allows users to access the five modes. The Spot LED (with high, medium and low modes) ranges from 300 lumens and 4.25 hours of run time on high to 50 lumens and 38 hours on low. The COB Flood LED has two modes: high, 250 lumens and a 3.5-hour run time; and low, 125 lumens and a 7.5-hour run time. The light uses three alkaline or lithium AA batteries located in a rear battery pack that is contoured for user comfort. With a body made of impact-modified nylon, the Twin-Task Headlamp weighs 7.6 ounces with the included alkaline batteries and 6.9 ounces with lithium batteries. The light's head bracket measures 2.67 inches long, and the rear battery pack is 3 inches in length. Featuring an IPX4 rating for water resistance, the Twin-Task Headlamp is also impact-resistant to 2 meters. Available in a black/red combination, the Twin-Task Headlamp has an MSRP of $75.00 and comes with Streamlight's Limited Lifetime warranty. For more information, visit https://www.streamlight.com.